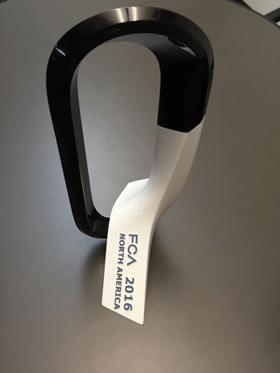 Summit Polymers, Inc. awarded FCA 2016 Supplier of the Year - Summit Polymers, Inc. 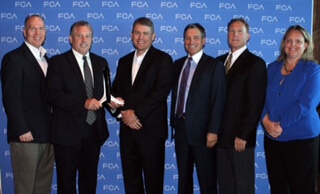 Summit Polymers, Inc. was awarded the FCA 2016 Supplier of the Year at the “FCA US LLC Qualitas Awards” event and celebration. This is a very selective recognition which is given to only the most exclusive set of top performing suppliers. Scott Thiele, Chief Purchasing Officer, led the agenda. His entire purchasing and quality staffs were in attendance. The commercial and engineering excellence, along with the high product quality, were mentioned as the keys to this achievement.